If you’re looking at the website of Get Removas it is most likely you’re doubting that a removal in Haringey, N11 is something you should handle yourself. And you’re right – self moving is a disaster waiting to happen. Alas it is one of those things you realise are too complicated only once it is too late to back out. People usually underestimate the scale of even the smallest removals and overestimate their cars capabilities for example. Even if you manage to hire a professional grade moving van (which is not as easy as you might think) that is only part of the whole process. What makes the real difference and gets you your money’s worth are our movers. You’ll be simply amazed by the level of skill and dedication they’ll show during the relocation in Haringey, N8. If you’ve ever tried self removals you’ll most likely be shocked how easy things are going when they’re handled by professionals. The relocation will be over in a matter of mere hours. Not only that but you’ll have avoided the typical for self moving broken, bent or scratched items. Safe transportation is ensured by our fleet of high grade moving vans. Each of them is in perfect technical condition, equipped with GPS and all necessary moving tools. Our team will come prepared. Even in the unlikely event of damage there is insurance included in the service so all damages will be duly covered. 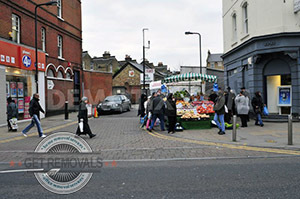 And to top it all – we are the most cost effective removal service in Haringey, N15. The service quality might scare you with the potential price but it shouldn’t. We’ve taken care of everything and offer the fairest pricing in Greater London. Our customers will not only get a free quote beforehand and know what to expect, but we’ll also tailor the price according to the project specifications. Plus we offer small but noticeable discounts for some small jobs as well as our special midweek offers. Please ask our operators to check if such can be applied to your order. Once the calculations are complete we will send you a quote which generally happens between 24 and 48 hours of the order submission. Let us help you pack your goods for the road and thus eliminate the need to worry about stuff like damage sustained by your furniture or precious personal items while your home relocation in Haringey is underway. Our movers use tested methods and high quality materials – boxes, wrapping etc. – to make sure nothing bad happens to your goods while they are being transported. To add additional safety net, you can even make use of our full moving insurance option – but it is unlikely you will have to use it. Aside of having the required technical capacity and vehicles to carry out full scale property removals Haringey, we also have the needed resources to flawlessly execute any type of delivery job. To us it doesn’t matter whether we have to haul a large or small item because we will pack it properly and make sure to deliver it in a safe and timely manner. Keep in mind that we maintain nationwide coverage, so don’t worry if you are facing an inter-city hauling project because we can handle it. To our knowledge we are one of the few companies in the area which has adopted a full transparency policy. Our work policy is open and transparent becayse we value the trust that our clients have in us and want them to have the peace of mind that everything is going smoothly by providing them updates about the progress that is being. This always means that all our quotes are final, so don’t worry about hidden fees and taxes. You can contact our polite and knowledgeable consultants at any time of the day and ask them the questions that are on your mind due to the fact that we maintain a 24/7 customer support centre. Once you get in touch with us, don’t be timid to demand additional information regarding our Lambeth removal company, moving services and methods of work or request helpful moving tips. An interesting fact about the borough of Haringey, N22 is that it is difficult to be named as either an Inner or Outer London Borough due to its location and various organizations classify it differently in their registries. It is one of the more multicultural parts of London with only a third of the 255 people living here being of British descent. Due to the small (by London standards) territory of Haringey there is a very high population density – 22 thousand people per square mile. The borders of the borough encompass just 11.42 square miles. It shares the name of a residential area in it. It is of Saxon origin and most likely comes from the name of one of their chieftains – Haering. Haringey is known for having been a home to a group of highly influential and notable personalities of world-wide importance. This group includes such diverse and intriguing names as Ho Chi Min, Mike Leigh, Simon Pegg, David Tennant and others. Rock band The Kinks was also formed here in 1964, in the district of Muswell Hill. White Hart Lane stadium is one of the borough’s most notable and well-known edifices. It is the home ground of the prominent English professional football club of Tottenham Hotspur which currently competes in the Premier League. The venue was designed by Archibald Leitch and built during the late years of the 19th century. The facility has a maximum capacity of 36.284 and will be closed and demolished in the years to come as the club is planning on building a newer and more modern stadium.